Let them savor the Southwest flavors inside this Texas-sized bonanza! 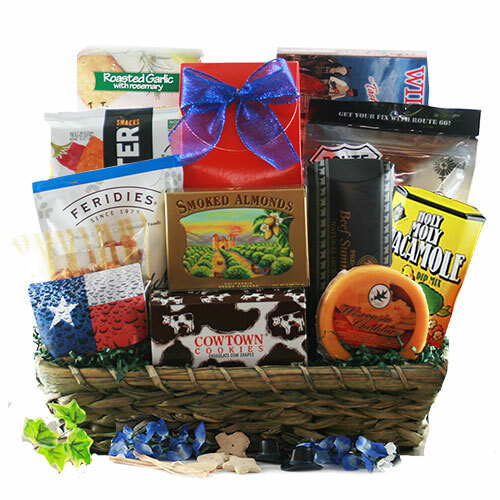 Some of the best tastes from the Lone Star State paired with an fantastic assortment of savory delights fill this handsome woven basket. ..this little diddy will have ’em coming back for more!